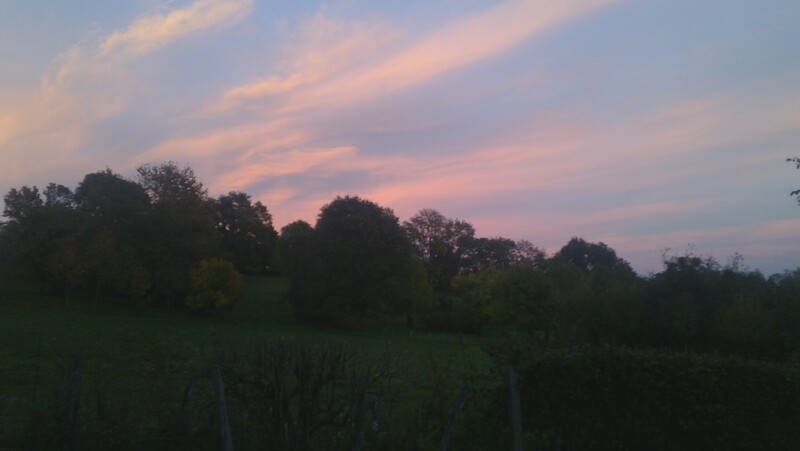 On an evening run last night, the sky was blazing while the meadows and paths held strange flying carpets of white. 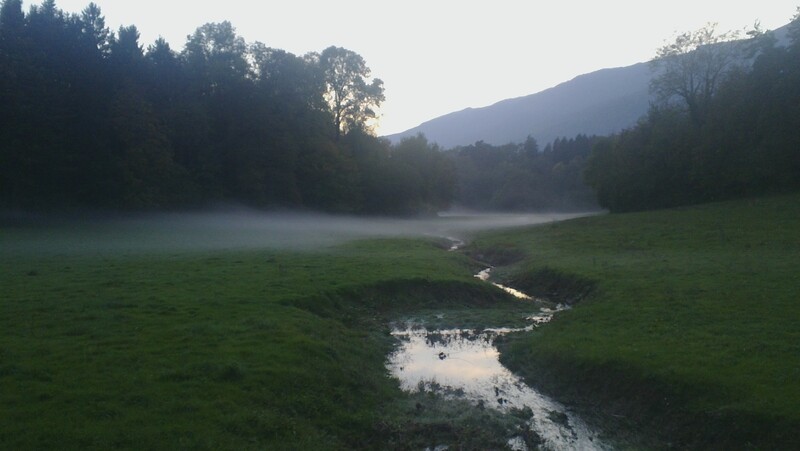 Autumn is creeping in, leaving the first tentative misty patches at ground level before the great fogs of winter settle over the Lake Geneva basin. Time to prepare for the upcoming season. 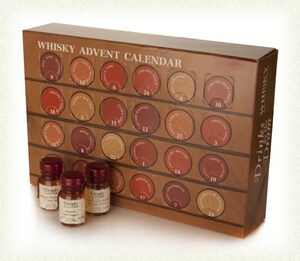 And so I ordered my Whisky Advent Calendar 2013 for this year. There are two versions, ‘regular’ and ‘premium’. Yes, I cheated and took a peek at the the contents of the ‘regular’ set of 24 little bottles, and was satisfied enough that I ordered that rather than the more expensive ‘premium’. After all, I’d like to try drams of whiskies I could conceivably afford to buy should I take a fancy to one. A friend ordered the ‘premium’, and I look forward to her detailed reports and recommendations. But mostly, I look forward to sharing the 24 Advent drams with my husband over the course of a December that will hopefully be filled with more blazing skies than thick layers of fog. I ordered my calendar here. There is also a Gin Advent Calendar, as well.